‘Paperback Writer’ was the eleventh single released by the Beatles, on this day in 1966 in the UK. The song went to straight to the Number 1 spot and stayed there for several weeks. The single marks the beginning of the Beatles’ experimentation with sound and the use of studio equipment as additional instruments. Apparently, John had made some complaints about the low levels of bass on a lot of the Beatles’ records. So, they decided to use a loudspeaker as a microphone for Paul’s bass. The result, remarked one of the engineers, was that the bass sound was heard, “in all it’s excitement”. 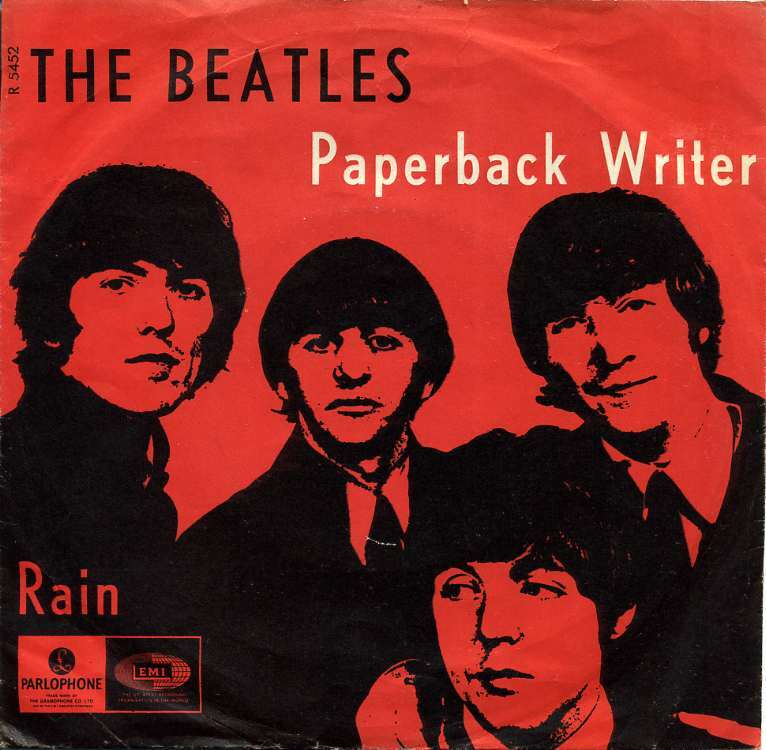 The B-Side of ‘Paperback Writer’ was the song ‘Rain’, which utilised further experimentation. For this song, engineers recorded several tracks, including backing and lead vocals, faster or slower than normal. When played back at regular speeds, the tone was altered slightly. The song also contained, for the first time ever, backward vocals, which a tired John Lennon claimed happened by accident, when he unknowingly put a tape into a recorder that played the music backwards. He liked the sound so much that the technique was used for the last verse of the song. The recording of both of these tracks was a hint at greater things to come, when the band moved into the studio to record their classic album ‘Revolver’ later that year.